Prepping as much of your food and drink before game day allows you to be present and enjoy time with your friends. Whether it’s prepping burgers, marinating meat or mixing punch—think about what you can do beforehand. Most of the time, when people ask “can I do anything to help?” they’re not asking just to be nice. Give your guests small jobs to help out— you can still carry a conversation while manning the grill or putting together a platter. Not only do you get a variety of food, potlucks get you off the hook of doing everything yourself— leaving more time for talking, laughing and enjoying your company. Tailgates aren’t supposed to be stressful or fussy. 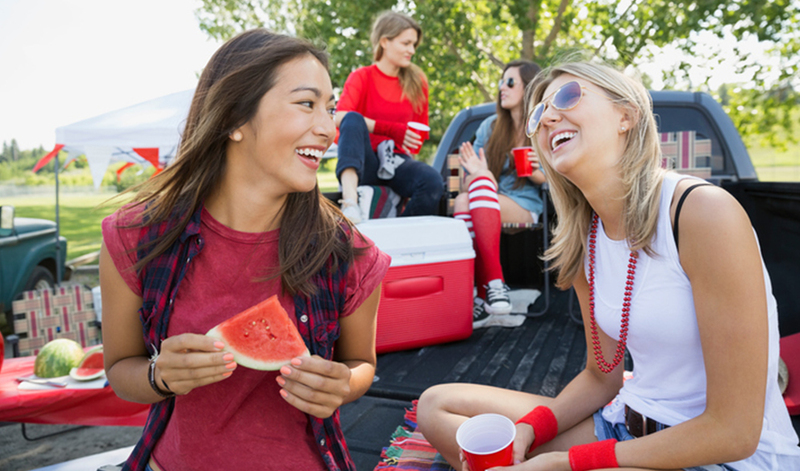 By following some of these simple tips, you can ensure that your day is a laid-back way of gathering with friends & family for delicious food, sports and fun.